The bustling metropolis of Istanbul in Turkey is a vibrant city with everything going for it. Not only is it a hub of business, finance, real estate and cultural trends but also home to many historic landmarks. From the days of Byzantine rule to the era of the Ottomans, most of the historical places in Istanbul are open to the public for viewing. Including palaces, mosques, churches, castle and districts, they can be viewed in a few days or a week will take you into the heart and soul of what was old Constantinople. 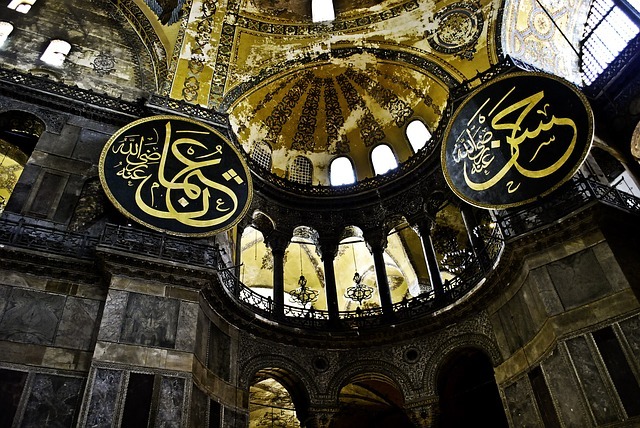 As a former church, mosque, and now museum, this structural building represents the crossover that happened to Constantinople from Byzantine rule to Ottoman grandeur. As one of Istanbul’s great glories built between 532 and 537AD, originally by the emperor Justinian, intricate frescoes adorn the ceiling. Representing scenes from the Bible and prominent figures of the Byzantine Empire, they sit next to large circular plagues pinned to the wall that highlight Islamic calligraphy art. The galleries of the upper level are where the best view of the interior of the iconic building is to be seen. Sitting across from the Hagia Sophia, the majestic Blue Mosque dating from 1616 is one of the best historical places in Istanbul. Foreigners can glimpse into the life of secular Muslims in Turkey because the mosque still operates daily for prayers. Also called Sultanahmet cami, entrance to see the blue stained glass windows of the interior is free or donations are gratefully accepted. With its 260 windows and unique 6 minarets, the Blue Mosque is the most famous in Turkey. 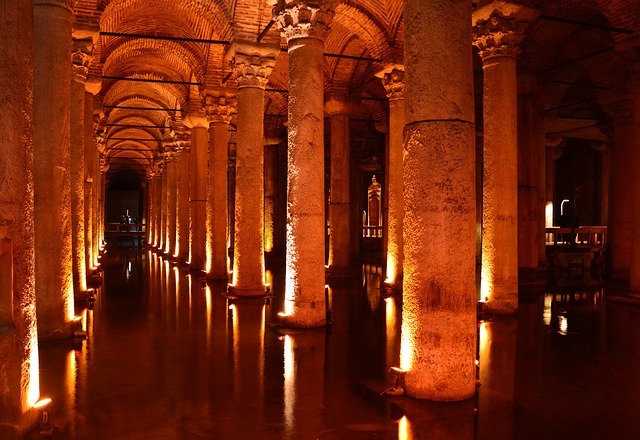 Most James Bond fans recognise the cistern from his film called “From Russia with Love.” He sailed in a small boat through the large stone columns holding up the cistern that supplied water to the old part of Istanbul known as Sultanahmet. These days, the only figures allowed in the water are the large carp fish illuminated by floodlight. Most visitors instead head to the back of the cistern to see the unusual upside heads of Medusa. 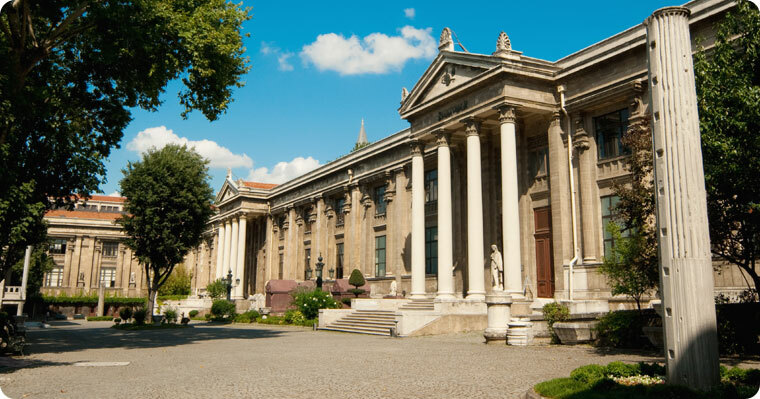 The three buildings making up this historical place are not the main attraction but instead home to one of the world’s best collections of ancient artefacts. Separated into three distinct sections, prize antiques include the sarcophagus of Alexander the Great, treasures from the Babylon and Hittite empires as well as 17th century Ottoman ceramics. Within the Ancient Orient Museum, collections include pre-Islamic Arabian art, the oldest love poem from 8th century BC and personal artefacts from the Mesopotamia area, widely considered by many academics to be the cradle of civilization. 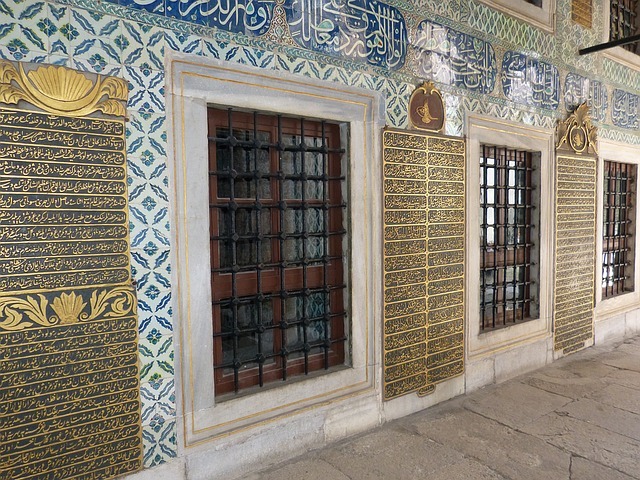 One of the best historical places in Istanbul is the Topkapi Palace. It acted as a fully functioning city for more than 50,000 people. 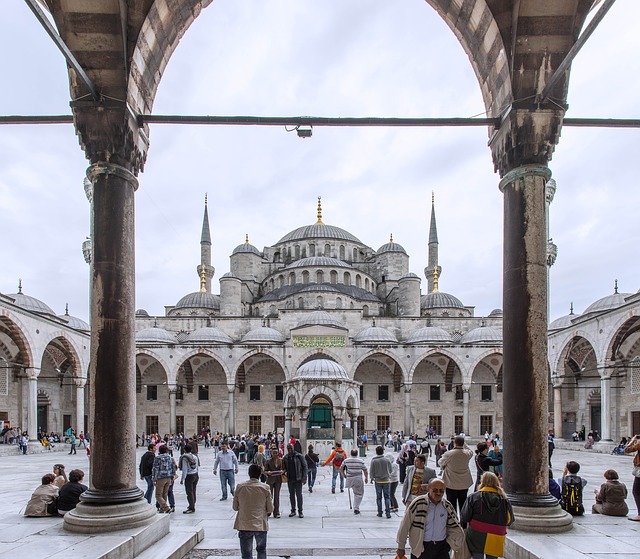 As the ruling centre from which the Ottoman Empire operated, it is a sprawling mass of historical buildings such as kitchens, circumcision rooms, and the much talked about harem. The layout is somehow ad-hoc due to extensions and remodelling over 400 years but within the walls, antique collections reflect life of the Ottoman sultans through their clothes, armoury, and jewellery while in the sacred relic room, the prize artefacts are from Muhammad. Away from the old historical district of Sultanahmet, first-time visitors often head to the old Grand Bazaar for a unique shopping experience in Turkey’s largest and oldest market place. Everything you can imagine is sold within this building, made up of a complicated network of passageways and small courtyards. 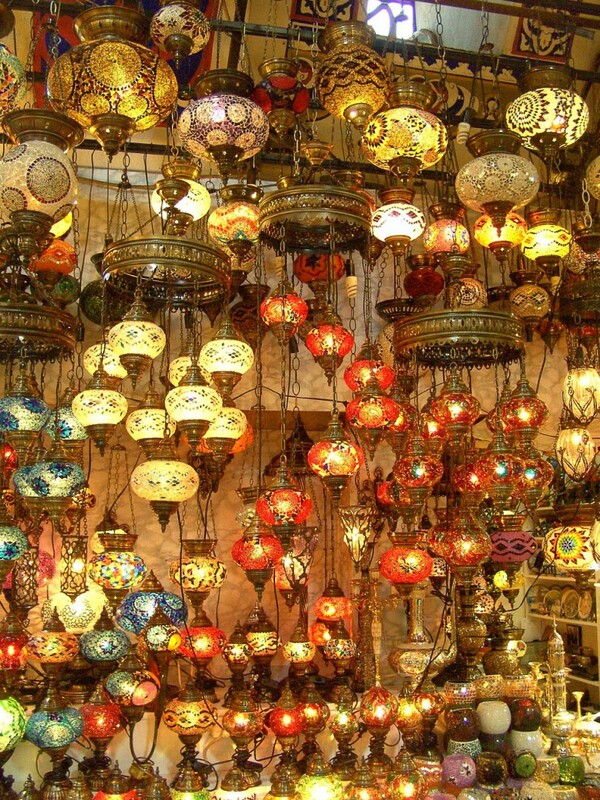 61 covered streets and more than 3000 shops make the Grand Bazaar an ideal place to shop for souvenirs, although expect to be among crowds since daily more than 250,000 people pass through its gates. 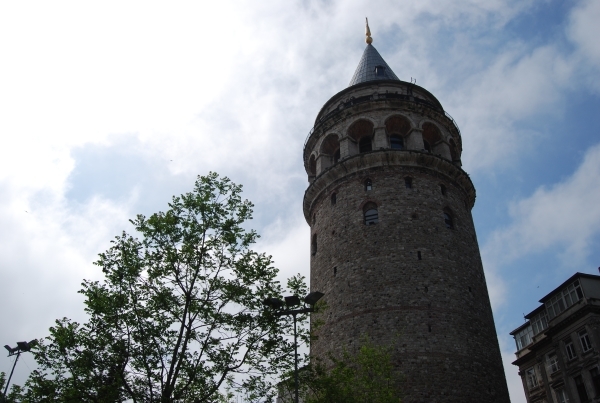 The Genoese tower standing in the Galata district is the pathway to an amazing panoramic view of the city of Istanbul, Golden horn and Bosphorus. Originally built as a watchtower in 1348, the top floor is also the venue for evening entertainment in the form of Turkish night shows. All these historical places in Istanbul and more can be seen on our daily and weekly tours. Including group and private excursions, the guided tours are the best insight into Istanbul for first-time visitors.